Home > Safety & Environmental Help and Guidance > HAVS Assessments > Hand Arm Vibration Non-Compliance – Are You Part of the 42%? Are you part of the 42% increase in Hand Arm Vibration Non-Compliance? Independent not-for-profit organisation BSG have reported a 42% increase in Hand Arm Vibration Non-Compliance. Hand Arm Vibration Syndrome is a physical condition caused by exposure to vibration, commonly through handheld vibratory tools within the workplace. The condition causes a number of health effects, including issues with grip strength and control, the inability to carry out fine tasks, painful finger blanching and even sleep disturbance. These health effects are permanent. When managed properly it is entirely preventable. Hand Arm Vibration Non-Compliance means that an organisation isn’t taking the necessary steps to comply with The Control of Vibration at Work Regulations 2005. A recent investigation by the HSE found that a worker for a local council was under no health surveillance and wasn’t told how to report symptoms of ill health, despite working with power tools as a large part of his typical day. How do you monitor Hand Arm Vibration exposure in the workplace? Our Castle Training Academy is famous for running a 3 day Hand Arm Vibration Competency Persons Course, ideal for anyone responsible for the safety and well-being of tool operators. This Hand Arm Vibration Training Course is run on numerous dates throughout the year, and trains you to ensure your organisation is operating on the safe side of the law, as well as keeping your workforce safe. 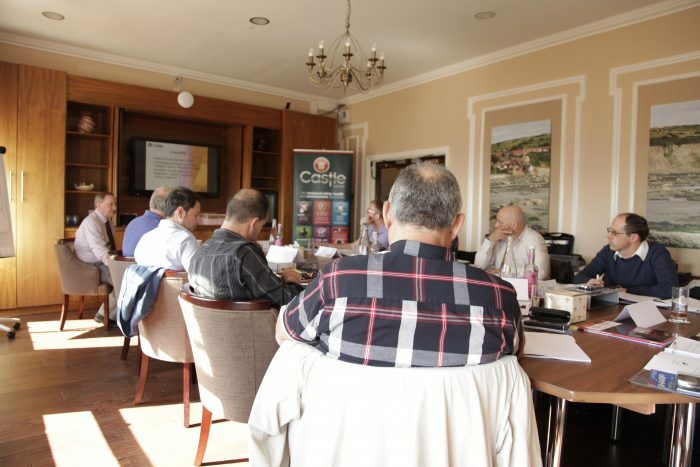 You can find out more and book online here https://www.castletrainingacademy.com/havs-and-whole-body.php or speak to our Training Manager on 01723 584250. BSG’s secure membership area. (2017). BSG reports 42% increase in Hand Arm Vibration non-compliances | BSG’s secure membership area. [online] Available at: http://www.bsgltd.co.uk/building-safety-group-reports-42-increase-hand-arm-vibration-non-compliances/ [Accessed 8 Feb. 2017]. Press.hse.gov.uk. (2017). Council fined £250,000 for not protecting workers’ health | Media centre – HSE. [online] Available at: http://press.hse.gov.uk/2016/council-fined-250000-for-not-protecting-workers-health/ [Accessed 8 Feb. 2017].